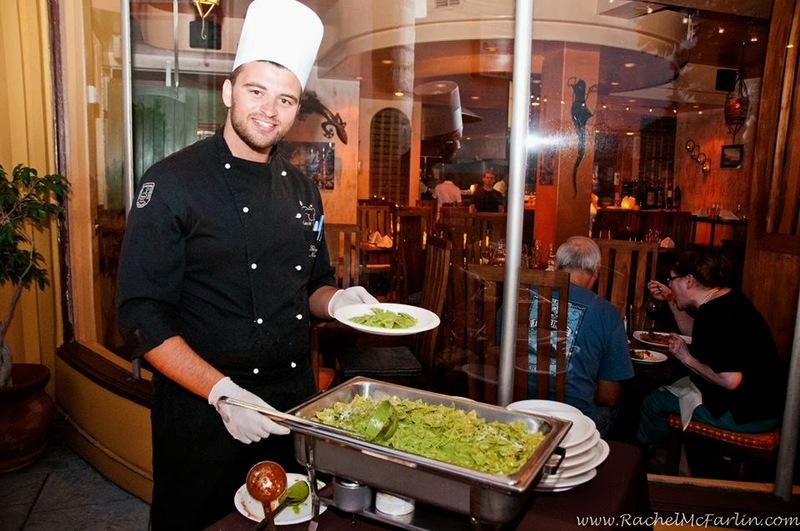 SanDiegoVille: Experience The Best Of The Beach At The Annual Coast Of Pacific Beach Restaurant Walk On Tuesday, May 19 | Enter To Win 2 Tickets! 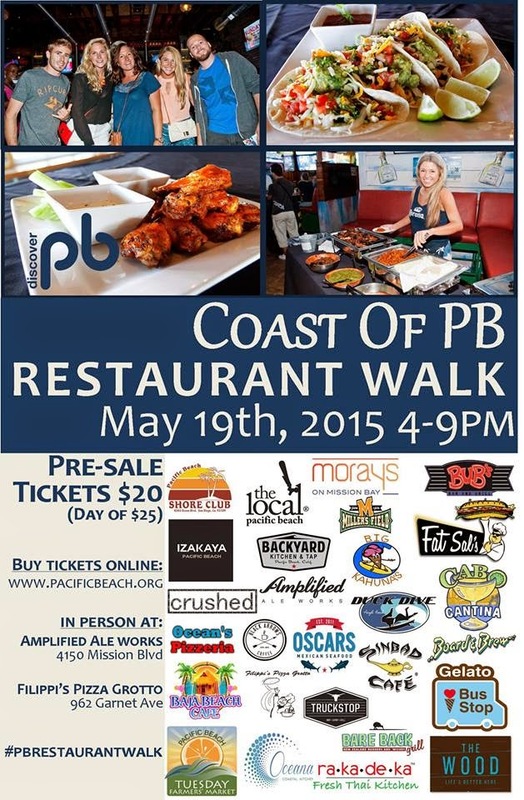 Experience The Best Of The Beach At The Annual Coast Of Pacific Beach Restaurant Walk On Tuesday, May 19 | Enter To Win 2 Tickets! Discover the best eats in Pacific Beach at the upcoming Coast of Pacific Beach Restaurant Walk, taking place on Tuesday, May 19, from 4-9pm. Bring your appetite as this popular event continues to grow each year and will offer a great variety of food, including offerings from more than 25 local eateries and vendors from the Pacific Beach Tuesday Farmers Market, as well as special deals from local retailers - all for only $20! We're also giving away a pair of passes to attend, so read on and enter the raffle for a chance to win! What could be better than a leisurely, self-guided restaurant stroll set by the Pacific Ocean? You’ll watch the sun setting overhead while sampling the best of Pacific Beach’s eclectic coastal cuisine. Even better, event proceeds will help make this great neighborhood clean by benefiting the efforts of Discover PB - a 501(c)(3) charitable organization dedicated to revitalizing and promoting the Pacific Beach community physically and economically. We had the opportunity to attend this event the past three years and always have a blast. For $20 ($25 on day of the event), you get more food than you can handle and end up meeting a lot of fun people along the way. The event always takes place during happy hour times and Taco Tuesday - so cheap drinks and tacos galore! You even get a bit of exercise along the way! Grab a group of friends and plan for a delicious epicurean excursion! Participating restaurants for this year's event include PB Shore Club, Bare Back Grill, The Wood, Bub's Dive Bar, Ocean's Pizzeria, Backyard Kitchen & Tap, Big Kahuna's Ice Cream, Baja Beach Cafe, Crushed, Miller's Field, Moray's On Mission Bay, Fat Sal's, Cabo Cantina, Oscar's Mexican Seafood, Izakaya Pacific Beach, Tony Roma's, Filippi's Pizza Grotto, Ra Ka De Ka, Amplified Aleworks, Boar & Brew, Black Arrow's Coffee, Truckstop, Pacific Beach Tuesday Farmer's Market, The Local Pacific Beach, Oceana Coastal Kitchen, Sinbad Cafe, Gelato Bus Stop and The Duck Dive.